Nifty! Ham Accessories - Nifty! Quick Reference Guides and short form Mini-manuals and for Kenwood, Icom, Yaesu and Elecraft transceivers. Ham Radio Manuals by WB2JKJ - Ham Radio Manuals by WB2JKJ - Icom Yaesu Kenwood Heathkit Drake and more! 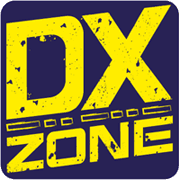 Ham.dmz.ro updated - Programming software, diagrams, radio mods, secrets, service manuals for Motorola, Yaesu, Kenwood, Icom, Alinco.